Liz Worth is a Tarot reader and astrologer from Toronto, Canada. Hip and modern with tattoos down her arms, Liz is today’s face of Tarot. In Episode 99 of the Biddy Tarot Podcast, Brigit explores Liz’s philosophy on Tarot, how she uses the Tarot is dynamic and intuitive ways, and how she came to write Going Beyond the Little White Book: A Contemporary Guide to Tarot. 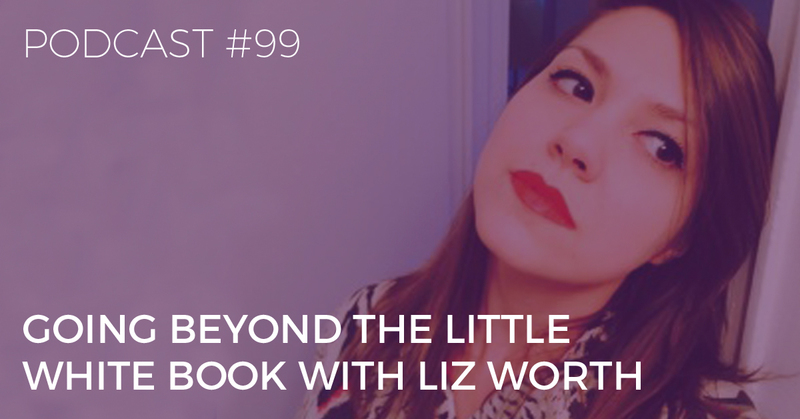 You’re listening to the Biddy Tarot Podcast, and this is Episode 99: Going Beyond the Little White Book with Liz Worth. BRIGIT: Hello, and welcome to the Biddy Tarot Podcast. Today, I’m speaking with Liz Worth, who is a Tarot reader, astrologer, and the author of Going Beyond the Little White Book: A Contemporary Guide to Tarot. Now, if you ever meet Liz, she’s from Toronto in Canada. I got the pleasure of meeting her earlier this year. She’s this gorgeous girl. She’s got tattoos down her arms. She’s hip, modern, and what I really see is this new face of Tarot. I was really excited to bring Liz on and to hear more about not just her book but also her philosophy when it comes to Tarot and how she uses Tarot in some more dynamic and intuitive ways—not just for herself but also with her clients. I think you’re going to really enjoy today’s interview. We cover lots of different topics (as always), and you’re just going to hear more about her style. I hope that you, too, will be inspired by what she has to share in this conversation. Without further ado, let me welcome Liz Worth. BRIGIT: Welcome, Liz. It is so great to have you. How are you doing tonight? LIZ: Thank you so much. I’m great! How are you? BRIGIT: Good, good. 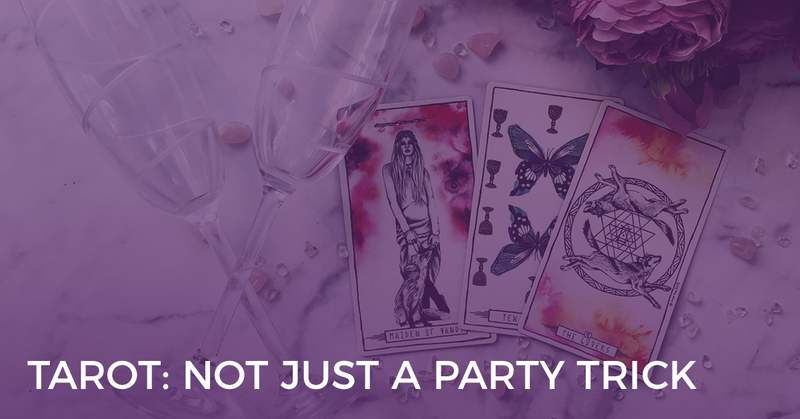 I can’t wait to have a chat with you today because just like we were talking about just off this call was you’re one of these beautiful, modern Tarot readers, who is trailblazing and doing some really cool stuff in Tarot. I would love to hear a little bit more about your story. How did you come into Tarot? And how has it brought you to where you are right now? LIZ: You know, Tarot for me is something that was always around. I think that I was lucky in that I grew up in a home where these things were accepted, and they were pretty normalised. My mom used to be really into getting readings, and she would have psychic parties and things like that. People would come over to the house. They weren’t necessarily doing Tarot, but she would have clairvoyants and people like that come to the house to read at parties she was hosting and things like that. She used to record them. When I was a kid, she would let me listen to these recordings and all of these readings that had happened. I just thought it was really interesting that people could do this and use their intuition to find information and connect to things that maybe other people were feeling but not totally aware of and things like that. It was always encouraged for me to explore those things on my own, which I definitely did throughout my teens. When I was in my twenties, I had kind of gotten away from some of those interests. I think that a lot of us go through some kind of separation from all the things that fascinated us as children, and we get busy, and our priorities change, and we often get very career-oriented, and that’s really where I was at when I was in my twenties. I had put away my interest in things like Tarot, the esoteric and everything. Then I went to see an astrologer. He told me in our session that Tarot should be something that I could be interested in and that I might be good at. At the time, I was really, really focused on a career in journalism and writing, and that’s really where my head was at. But when he said that, I thought, “You know, I used to be so into stuff like that,” and I realised that I had really let it slip away. After that reading, I went out and got a Tarot deck, and I just started picking it up again and really decided to commit to learning the cards. The more I worked with them, the more I realised that they were waking up a lot of things inside of me. As I looked back over time throughout that process of learning to connect with Tarot and using it on a more regular basis, I realised how much it had actually helped me to grow. I hadn’t really noticed it at the time. It was a very subtle process, but I think that that’s really how Tarot does its work on us as well. That was really part of my path. It was a long, organic road in a lot of ways, and it was just very natural, and I followed the ebbs and flows of it. BRIGIT: Wonderful. And I love that your mum introduced it to you. I’m curious, actually… Back then, was she seen as kind of a hippie or a little bit on the fringe? Do you see any kind of difference between that time and now with Tarot? LIZ: No, you know, my mom had me when she was 45, and she was born in 1936. She’s just a really normal person. If you met her, you wouldn’t necessarily think that she was into any of those things, but she has a Pisces Moon, and she’s Pisces Rising, so for people who are into astrology, that will tell you that this is someone who is very open, especially to finding ways to connect spiritually. I think that that’s where a lot of her inclinations come from. That’s just kind of how she was wired. We used to do things, like there’s a really big event that happens where I’m from, in Toronto, every summer called the Canadian National Exhibition, and it’s kind of like a really big country fair sort of thing, but it happens in the city, and it’s two weeks long. They have palm readers and Tarot readings and things like that. My mom and I used to go together every summer. She bought me my first readings at the Exhibition. I remember those were really significant events for me just to have those experiences. We used to go to psychic fairs together and things like that. It’s just something that she was drawn to, but she wasn’t part of any other type of culture around it at all. Otherwise, she was just a mom, and that was it. BRIGIT: Yep. Wonderful. I love it! That’s awesome. Tell me: what role does Tarot play in your life now, both personally and professionally? LIZ: Tarot is a huge part of my life. It is my main dig. I run a Tarot business, and I spend a lot of time working on that business and working with the people who come to me for readings. Professionally, this is work that I take really, really seriously. Even though I’ve been using the word “psychic” in terms of other people who are in this profession and the types of readings that I’ve had, I personally don’t talk about Tarot or use Tarot in a necessarily “psychic” capacity. There are a lot of really heavy connotations with that word that we have to be careful sometimes when we start to talk about Tarot as an intuitive process. That’s one thing that professionally I often try to get across. Tarot, in a lot of ways, I think, is meant to awaken things within us, but that’s also the beauty of getting a reading. It’s not so much about having someone who is divining the cards for you, telling you what to do. It’s more about letting Tarot do its work on you and help you awaken to your own possibilities and have some kind of epiphany or an “Aha!” moment whether that’s within a session or whether that’s a month after a reading, where you really feel empowered that you’ve given yourself the opportunity to figure something out that feels really significant and really ground-breaking for you. BRIGIT: I think that’s quite a big shift, too, with Tarot because a lot of people come into a reading, going, “All right, tell me what my future is,” and for them to actually be able to walk away with more of that trust in their inner wisdom, knowing that the answer that they were looking for all the time was actually sitting inside of themselves all that time. You as the Tarot reader have just been the little key to unlocking all of that. That’s neat. LIZ: Absolutely, yeah. I think that’s a big part of any kind of spiritual work overall, and I do see Tarot as a very spiritual practice, and that’s how I use it on a personal level. But I find that, in terms of my own personal experiences with having worked with many different types of healers and intuitives over the years myself, those are the really powerful moments that you get. You can have someone lay out cards and tell you a really interesting story about what they think is going to happen to you, but that’s not always the stuff that tends to stick with you, and I don’t necessarily think that the future is always written in stone. There may be some things that are fated for us, or certain lessons that we are really meant to live through, but how those are necessarily going to come together is where we really get to play with our free will and see what types of decisions we really want to move through with that. BRIGIT: I think that’s a really important distinction because I think a lot of people wonder, “What is the future?” as in “What’s been laid out for me?” versus “What can I change?” I think you’re right. I also believe that there’s the thing that you’ve been destined to learn, but how you go about learning it and how many little turns and backtracking and all that stuff is completely up to you. It’s still a choose-your-own-adventure, but there’s this endpoint that’s almost out there, waiting for you, the lessons that take you there. 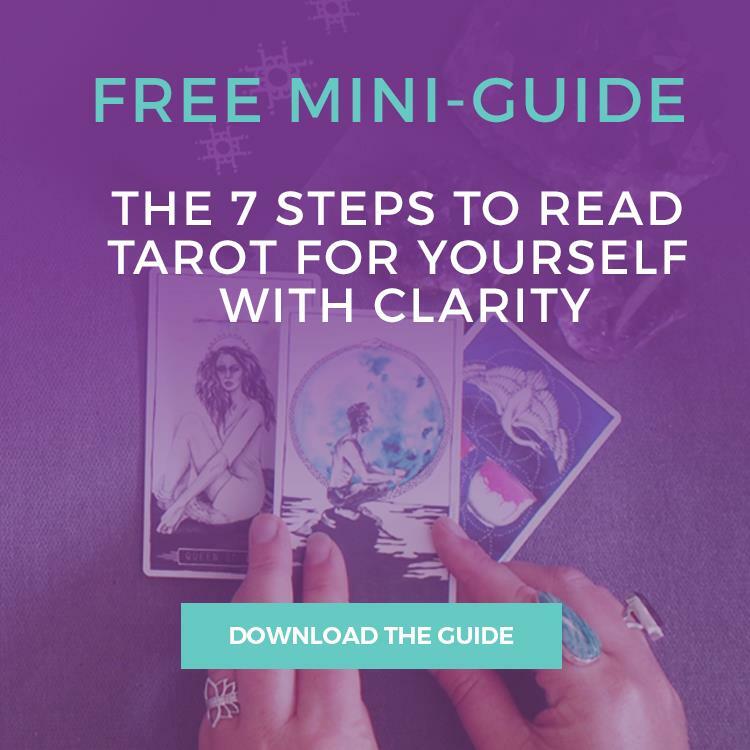 I’m curious… Obviously, you’re doing Tarot readings, but does that mean you’re also teaching other people how to read Tarot and how to connect to their own intuition? LIZ: Yeah, I do. I do teach a lot of Tarot classes, and I also wrote a book about Tarot called Going Beyond the Little White Book. I think it’s really important for people to seek out Tarot readings. It can be a really great experience to have somebody lay out some cards for you and give you an objective, neutral take on a certain situation because sometimes we really need that. Sometimes we’re so much in our own heads that we need to either have some kind of validation or get a totally different perspective on it. A Tarot reading can really help you with that, but I think that Tarot is something that really everyone can benefit from learning how to do. It can be really intimidating to learn at first because there’s so much information to take in, and there are so many different ways to learn Tarot and so many different schools of thought on what it is and how the cards can be interpreted. But I think that anything that helps us to get back into ourselves and learn how to trust ourselves again is always going to be a good process to follow because we live in a very disempowered world in many ways. I think that sometimes we might feel like we have a lot of freedoms, but there are so many things that we’ve been conditioned to think, feel, and even question within ourselves, and we’re very much taught to seek out so many answers from other places. We’re taught that everybody else is an expert on what we need to do and what we need for ourselves and what we need to know. I find that it’s really easy to become misaligned and confused because we don’t really get taught how to trust our gut, and we don’t have a lot of opportunities as we’re growing up to make decisions for ourselves. We’re often told what to do, when to do it, and how, so Tarot really helps us, I think, to get back some pieces that we need to reclaim within ourselves. BRIGIT: Yep. Oh man, I could talk about that forever because I think that’s part of this major shift that’s happening from this patriarchal society into one that’s much more balanced between the Sacred Masculine and the Sacred Feminine. I think for so long we’ve trusted everyone but ourselves to tell us the answer, and Tarot is one of those tools that’s bringing us back into ourselves, and I find that that is so empowering. I’m getting a little bit excited hearing you talk about that because that certainly is something that I see in the potential of Tarot. Oh man, it’s so much more than just the cards, isn’t it? It’s what it creates and allows to happen. It’s wonderful. BRIGIT: So, you just quietly mentioned your book, which is Going Beyond the Little White Book. Tell me a little bit more about this. What was your inspiration? And who have you really written it for? LIZ: Yeah! I wrote this book… I think it’s a great book for beginners, but I also wanted it to be something that people who have been into Tarot for a little while, and who might have a decent grasp of what the cards mean, but want to take it just a little bit further, or sometimes still question how to put a certain card into context. That’s really what is important to me with Tarot, context. What does a card mean if you’re looking at it within a relationship reading versus a career reading? What does it mean if you’re looking at it from the spiritual perspective? What does it mean if it comes up in a challenging position versus somewhere neutral or positive position? There are all of these different ways that we can work with, with Tarot spreads, and all kinds of different scenarios and conversations that we have around the cards. But often, I find that the little white books that come with our Tarot decks don’t give us a lot to go on, and there are some really great Tarot resources out there for sure, but they don’t necessarily dig into as many different angles. I wrote this after I had been reading Tarot for about eight years. I had noticed so many different ways that the cards could come up, and I had so often just replayed different anecdotes to students in my classes and things like that about the different ways that I had seen certain cards manifest in people’s lives. That’s really where it came from. I wanted to make it also something that felt a bit more contemporary than certain Tarot books that I had grown up on. I found that, particularly the older resources that are out there, they can be really great as foundational tools just to see how Tarot has evolved over the years, but some of them use very esoteric language. That’s why the subtitle of my book is “A Contemporary Guide to Tarot” because I just wanted to make something that was a little bit more modern, a bit more straightforward, that’s not necessarily talking about conscious realms versus subconscious realms and using all these terms and this language that may not feel as accessible, and that might not necessarily apply to a reading when you’re sitting face to face with someone, trying to figure out why they’re going through a breakup at this time. LIZ: Exactly, exactly! I just think that that’s such an important part of Tarot. We’re looking at symbols, and we’re using cards that are hundreds of years old. But we’re also in the here and now, and we have to use language that suits us and that we can adapt for the way we speak. I think that’s such an important style for every Tarot reader as well. What is the language that you use? How do you communicate? How do you articulate? Again, it was important for me to just put something in my words and hope that that might feel comfortable and open for the people who are reading this and that that gives them something to work from when they’re piecing together their own insights whether it’s just for themselves or for their friends or for clients in a professional capacity. BRIGIT: Yeah, absolutely. I think that’s great. So, you’re including meditations with the cards. Could you give me an example of a meditation that you’ve included, one of your favourites? LIZ: Oh my goodness! Wow, I can’t say that I necessarily have a favourite because I feel so connected to every card in Tarot. I’m at a point where every time I do a reading for someone, and I lay the cards out, I always say, “Oh, this is so interesting!” but then I realise I say that every time I do a reading! I don’t know if I could pick just one, but certain cards that come to mind in terms of ones to meditate with… I always go to the High Priestess and the Magician because I think when we’re talking about a tool like Tarot, and we’re talking about the importance of falling back into ourselves, those are always the cards that first come to mind for me. BRIGIT: Yeah. And how do you engage with, say, the High Priestess? How do you make her energy become part of your energy? 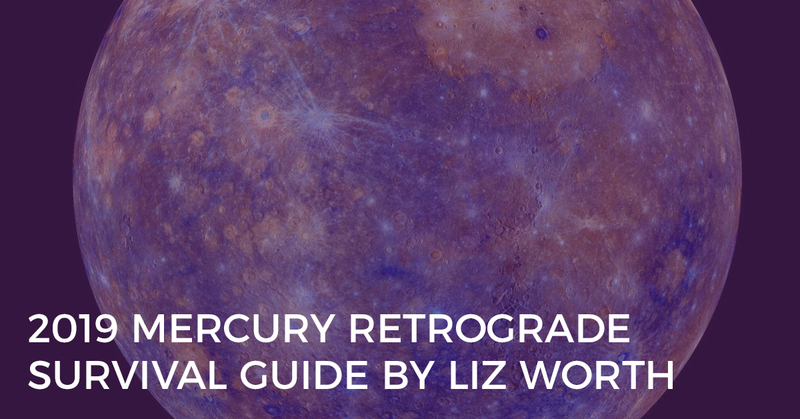 LIZ: You know, with the High Priestess, I work a lot with the Moon, and I incorporate a lot of astrology into my work. One little tip that I often offer with the High Priestess is to look at what sign or phase the Moon is in and try to figure out what kind of energy that card could be speaking through, given where the Moon is at the time. BRIGIT: Wow, I’ve never really thought of this… I mean, I have. I’ve thought of the connection between the Moon and doing Tarot readings, but I’ve never thought of it in terms of how it may alter the interpretation of a card, depending on where we are in that Moon cycle phase. Tell me a little bit more about that. Am I being really literal here? Is it just the cards where there’s a Moon on it that you would read that into it? Or is it all cards? How do you interplay the two? LIZ: I wouldn’t necessarily do it for each one, although I do sometimes notice certain patterns in terms of what people are bringing based off of what’s happening astrologically. I find sometimes when there’s a Pisces Full Moon, for example, things tend to feel very busy for Tarot for me because I think, again, that’s when people are very open. They’re looking to make some kind of deeper connection and things like that. So, I definitely notice some patterns and phases with what’s going on. But in terms of connecting to certain cards, I like to do that, again, with the High Priestess because she’s traditionally depicted as this individual who is sitting at this veil between worlds. I think, out of all the cards in Tarot, that’s definitely one that you could use to channel some lunar energy with. Of course, you could also work with a card the Moon and see what’s also happening around that, and I definitely like to connect that card to certain things that might be helpful for people who are getting readings. If there’s a Full Moon coming up, and that Moon card is sitting within a reading, I might think, “Well, maybe, it’s time to work with this Full Moon that’s just around the corner. Maybe there’s a ritual or an intention that you could set around that,” for example. I definitely like to think about what’s happening around that because I do think that we’re connected to all of these energies, and they definitely come up through Tarot, and they play into our lives in so many different ways. BRIGIT: I love it. Excellent. I’m curious on your thoughts around where you see Tarot going in the future. How do you think we can make it even more modern-day and more accessible and all that good stuff? LIZ: You know, I think Tarot is actually at a very interesting place, but I think that the world on a whole is at a very interesting place because we’re having a lot of discussions that are really important discussions around sexuality, gender, the relevance of monogamy, marriage, parenthood. I think that with Tarot, it’s important for us to keep all of those things in mind right now, and to remember that as readers, especially for working within a professional capacity, we’re working with images that really can be quite traditional, depending on the type of deck that you’re using. Tarot has a lot of Christian imagery on it. The older decks aren’t necessarily as diverse. They don’t reflect various types of partnerships, so it’s important to remember that we can’t stick to the stories that we’re necessarily seeing within those cards. We really need to push ourselves to continue to go beyond that, and I think it’s important to always remember not to make assumptions about where someone is coming from. If someone sits down and says, “Well, I have a question about my relationship,” don’t assume that their relationship is necessarily with a man or a woman. I think it’s important sometimes to keep in mind the types of pronouns that we’re using and to let people divulge information as they feel that they need to. You might have a client who identifies as queer. You might not identify as queer. It doesn’t mean that you can’t be there for them, and it doesn’t mean that you can’t provide a safe space for them. Again, just staying open and making sure that we’re able to support whomever is coming our way is really important. I think that that’s really where Tarot is heading, and I think the future of Tarot also really depends on making sure that there are more and more younger people picking up the cards, learning the cards, and feeling like this is something that’s accessible to them because if younger generations don’t pick it up, it’s like anything. It doesn’t go anywhere. It has to keep growing, and it has to keep evolving. BRIGIT: Yeah, absolutely. Oh, interesting—love it. Liz, what’s next for you in your Tarot practice? Is there another book on the horizon? Or have you got other fun projects on the go? LIZ: Yeah! I’m definitely working on another book. I want to do a follow-up book that will be more centred around Tarot spreads, and those will be spreads that, again, you can either use for yourself within a personal and spiritual practice, or that you might like to use within a professional capacity, and there will be spreads that can kind of take you all throughout the year and that will have some more astrological connections as well, with some tips and context on how to weave all of that together. I do think that Tarot and astrology certainly complement each other. And I do think that once you start paying attention to some of those rhythms and opening up to what’s happening on an astrological level, then it can really give your readings a whole other layer. But it also just helps you sometimes understand why you’re feeling what you’re feeling right now. Sometimes we get into these funks and fogs, and then we realise there’s Mercury retrograde or something like that, and then it all makes sense. I think it’s just important to know some of those things. BRIGIT: Yeah, absolutely. I know from speaking to all of the folks in Tarot that they want more around Tarot and astrology, and there’s not a great deal on the market, so if you can bring something out in that space, I think you would do very well. LIZ: Yeah! Well, I’m working on it. BRIGIT: Good. Whereabouts can people find you? LIZ: They can find me at LizWorth.com. BRIGIT: All right, fabulous. We will be sure to post that in the show notes at BiddyTarot.com/99, and we’ll also post the link to your book, which is available now on Amazon, which is great. Wonderful, Liz! This has been such a great conversation. I loved hearing about that modern-day Tarot and more about your book. I feel like we’ve travelled the Tarot world in this conversation. It’s been fabulous, so I appreciate that very much. Thanks so much for being on the podcast. LIZ: Oh, thank you so much for having me! BRIGIT: There you have it. 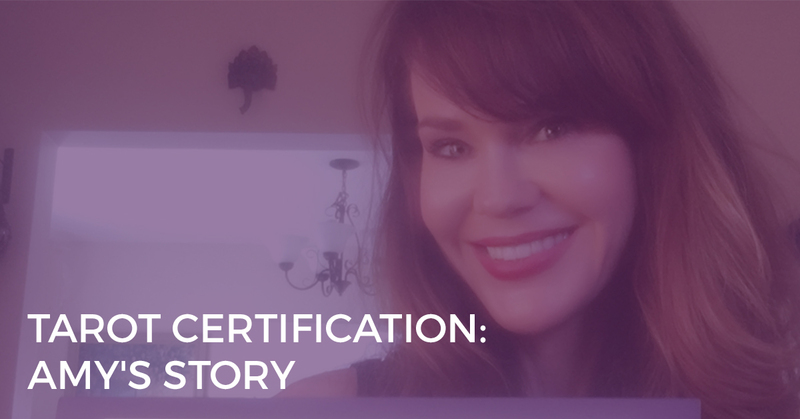 I hope you enjoyed that conversation with Liz and I and learning more about modern-day Tarot and how you can go beyond the little white book and integrate Tarot in a really modern way. Now, if you want to access Liz’s book or her website, go to BiddyTarot.com/99, and you can get the links there, plus the show notes from today and the transcript of today’s call. All right, that’s it for today. I can’t wait to be speaking with you next episode because, oh my goodness, it’s going to be Episode 100! Whoopee! All right, I’ll speak to you then. Bye for now!